And the books are distributed. The Room to Read team and I visited Collateral Repair Project – Helping Urban Refugees in Jordan, one of our distribution partners that provides incredible support to refugee families in Jordan, through free classes and family food vouchers. Donate to them; they need your help. 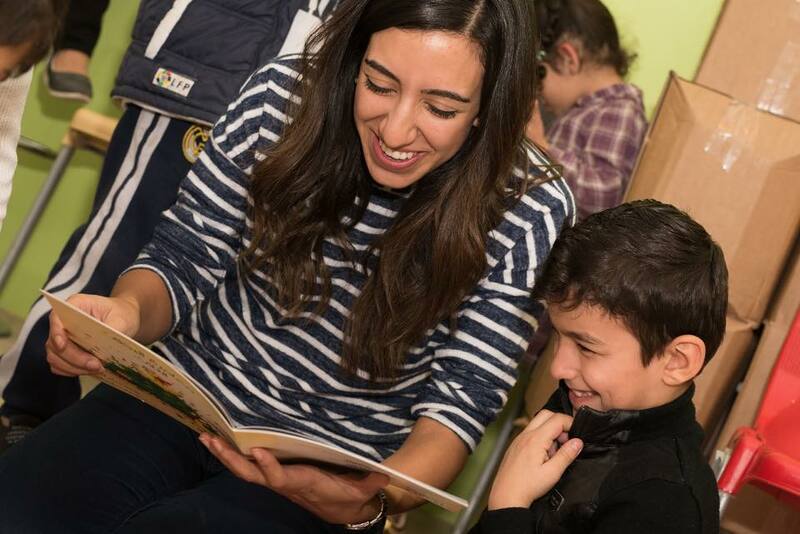 While I am so proud these 600,000 copies of 20 excellent Arabic picturebooks are being distributed across Jordan, I am equally proud that these books can benefit any parent who wants to teach their child Arabic. I have received several messages in the past few days asking where to buy these books, so I am tagging our three Jordanian publishers here who can sell them to you: Majdalawi Masterpieces, Jabal Amman Publishers جبل عمان ناشرون, and Dar Al Yasmine Publishing. Previous Room to Read – Publishing 20 Picturebooks!